Provides a real-time view of the inside of concrete structures and generates images automatically. 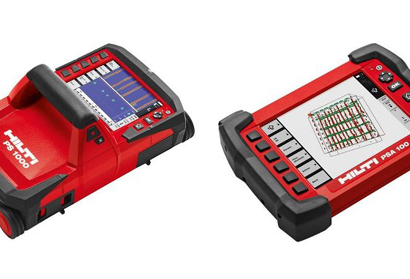 Features three scan modes for specific applications: Quickscan detection, Quickscan recording and Imagescan (2-D and 3-D data visualization with top view and cross sectional views). Compact all-in-one hand-held scanner offering easy, user-friendly operation, quick start-up for speed of use plus unmatched data visualization. Displays a top view of the scan for easy mapping of the objects detected plus cross sections in both directions for easy identification of multiple layers in concrete structures. Powerful monitor unit for in-depth, on-site scan analysis plus PC software for subsequent data evaluation and documentation. 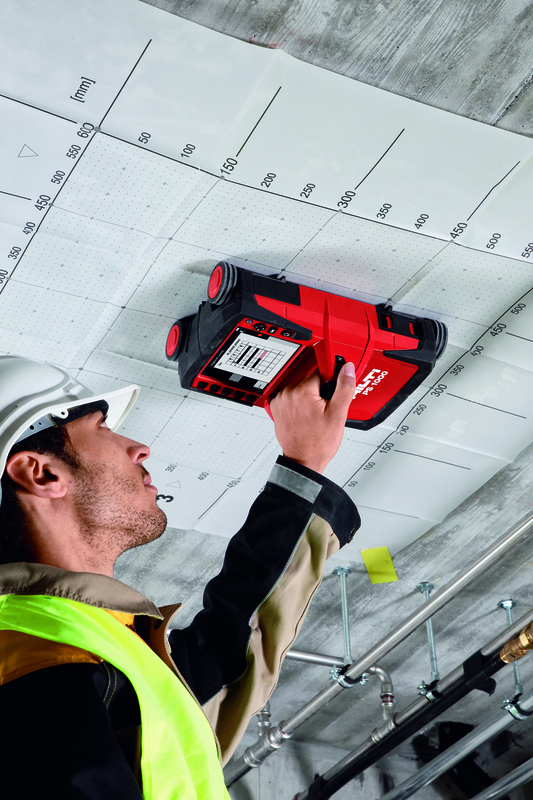 Reduces risks by locating the safest places to cut or drill and hundreds of square meters of concrete can be inspected in a day. Locating rebars, tendons, metal and plastic conduits, glass-fiber cables, voids and wood in dry concrete structures at depths of up to 300mm. Avoiding hitting concealed objects when drilling anchor holes or through holes, breaking out openings and in diamond coring and sawing work. Quality assessment and checking rebar and tendon layout (e.g. curvature, density, depth). 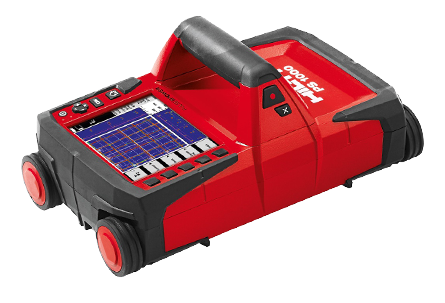 The Hilti PS1000 X-Scan ‘looks inside’ concrete structures to depths of up to 300mm and can be supplied with the PS200 scanner for complete concrete analysis. 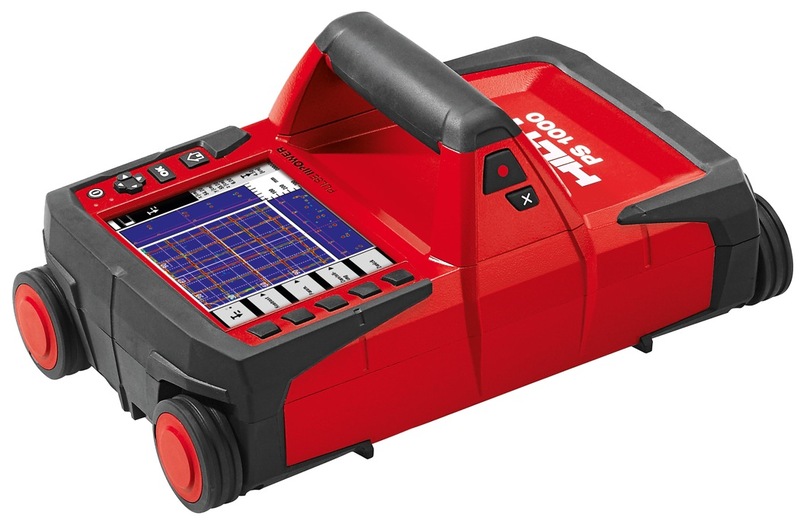 It provides a real-time view of the inside of concrete structures and generates images automatically, for direct on site evaluation by the user. 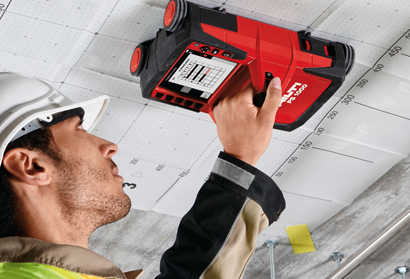 The Hilti PS1000 X-Scan is able to locate rebar’s, tendons, metal or plastic conduits, glass fibre cables, voids and wood in dry concrete structures at depths of up to 300mm. Scans can be viewed ON SITE or in office and annotated using the supplied software. 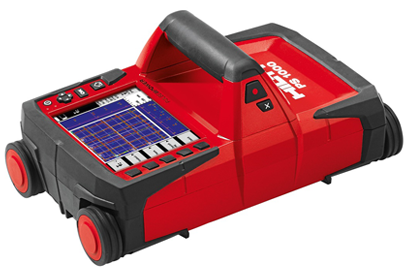 Hundreds of square meters of concrete can be scanned in a day. 2-D or 3-D data visualisation! With top view and cross sectional views. If you have any further questions about how to read the results, email or phone us and we can help you out.